I’ve mentioned this before in a couple of articles, but NBA Live 99 is a somewhat overlooked and forgotten game. It doesn’t help that it came between NBA Live 98, a game that saw a really big leap from the year before, and NBA Live 2000, one of the best games in the NBA Live series. 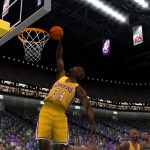 The lockout that threatened the 1999 season is also a factor, as it meant that NBA Live 99 shipped without updated rosters, in a transitional year for the NBA. On top of that, its cover player, Antoine Walker, has consistently topped “worst cover player” polls that we’ve run. It’s a shame though, because NBA Live 99 is actually a really good game. As I discussed in a previous edition of Wayback Wednesday, league expansion can lead to some unique features being added to NBA video games. 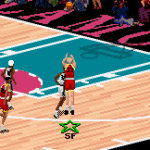 Such was the case with NBA Live 96, with the league’s expansion across the border into Canada and the addition of the Vancouver Grizzlies and Toronto Raptors. When the Grizzlies and Raptors joined the league twenty years ago, an Expansion Draft was held to help them fill out their rosters, as is the norm. The twenty-seven other teams were able to protect eight players, which needless to say limited the pool of available talent outside of the deeper squads. In most versions of NBA Live 96, the rosters were updated for the 1996 season with Class of 1995 rookies and offseason transactions. This wasn’t the case with the Super Nintendo version of NBA Live 96, which was missing the rookies (though there were codes to unlock them, along with Michael Jordan, Charles Barkley, and some bonus Legends), and also did not account for major moves like the Chicago Bulls’ acquisition of Dennis Rodman, nor the results of the Expansion Draft. 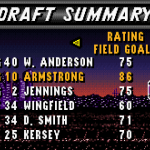 What the SNES version of NBA Live 96 did have was the unique feature of the Expansion Draft itself. 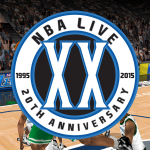 We’re picking up our 20th Anniversary of NBA Live celebrations once again with a clip from Episode #129 of the NLSC Podcast, in which I chatted to Sean O’Brien, Executive Producer of NBA Live. While the interview was mainly centred on NBA Live 16 – at the time, a couple of weeks away from its release – we also took some time out to talk about the history of the series, and Sean’s experience working on it, beginning with NBA Live 97. As noted in our chat, he was even featured as a cheat code in that game! With such a long history working on the series, Sean definitely has some interesting stories to tell about how he got involved with the development of the game, and how things have changed over the years. He recalls his experiences providing motion capture back in 1996, and describes what it was like to develop a basketball game back in the 90s. In reminiscing about his experiences working on NBA Live, Sean also touches on the future of the series, mentioning that he’s excited about what he believes the team can do with the next couple of releases. Catch it here on our YouTube channel if you’re having any issues with the embedded video. If you’d like to listen to the entire interview, you can tune in to Episode #129 of the NLSC Podcast here. 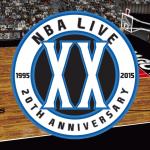 Download the NBA Live 95 demo here! You’ll need to run it in DOSBox, so be sure to check out this guide if you need any assistance. 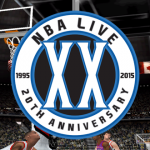 Download Definitive NBA Live 96 here! If you need help getting NBA Live 96 to run under DOSBox, be sure to check out this guide in our Wiki. Yes, really! 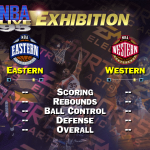 It’s been a long, long time since we had a new file addition for NBA Live 95, but as part of our 20th Anniversary of NBA Live celebrations, we’re releasing a little something for every PC title in the series. 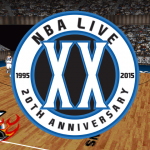 We’re tipping off those releases with a roster patch for NBA Live 95, which I’ve titled “Definitive NBA Live 95”. In a nutshell, it contains final 1994/1995 rosters with several missing players added, adjusted ratings, and various fixes. 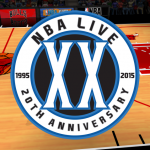 I’ve used all my experience from years of working on roster updates for NBA Live, as well as all the resources that are now available online, to put together what I feel is the best possible NBA Live 95 experience, with accurate 12-man 1995 season rosters. You’ll find a season-compatible version of the rosters that uses incorrect portraits, and an exhibition-compatible version that removes the portraits of overwritten players, so you won’t see Larry Krystkowiak smiling at you whenever Michael Jordan goes to the free throw line. Please see the included readme file for full details. 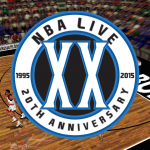 Download Definitive NBA Live 95 here! And, if you need help getting NBA Live 95 to run under DOSBox, be sure to check out this guide in our Wiki. 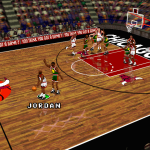 Over the past few days, we’ve been sharing some memories of NBA Live 95, plus a couple of fun things from the archives. But what if you want to play NBA Live 95 PC yourself? Or the PC version of NBA Live 96, or NBA Live 97 for that matter? Doing so can be difficult in recent versions of Windows, unless you use DOSBox. And if it’s been a while since you used DOS – or if you’ve just picked up the games off eBay, and have never used DOS before – that can feel like a daunting task. 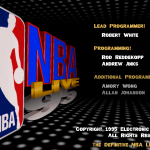 Fortunately, we’ve got you covered with a new addition to our Wiki resources: a step-by-step guide to running NBA Live 95, NBA Live 96, and NBA Live 97 in DOSBox! 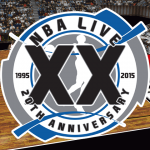 In case you haven’t felt inclined to dust off those old games just yet, you may want to keep that page bookmarked, as I’ll be releasing some patches for the PC versions of Live 95-97 as part of our ongoing 20th Anniversary of NBA Live celebrations. Working on them has certainly been a nostalgic experience for me, so I hope that at least a few of you will feel inclined to fire up those old games, and give the new releases a spin once they’re available. 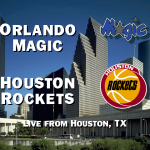 If you can’t catch NBA games live on TV, you might be familiar with the play-by-play live scores on NBA.com, as well as ESPN.com and Yahoo! NBA. Well, you really should look into NBA League Pass Broadband if you can, but if a subscription is too expensive, or just not feasible for whatever reason, the live scores are pretty much your best (legal) option for following along with NBA games. Many, many years ago, there was a period in my NBA fanaticism when I didn’t have the opportunity to watch a lot of games live. My cousin, who had pay TV, recorded games for me to watch later on VHS, and I also made use of PonTel. However, when I wanted to keep up to date with a big game, I’d have to jump online – dialup Internet, no less – and fire up the live scores. Incidentally, the first game I followed along with online was Game 5 of the 1999 NBA Finals. At the time, I thought it was pretty cool, though it obviously has nothing on League Pass Broadband. As I’ve previously mentioned, back in high school, my cousin would always come to stay with us in the holidays, and we’d spend a lot of time playing NBA Live and NBA Jam. You know, in between watching NBA videos, and trying to emulate our favourite players on my hoop in the backyard. 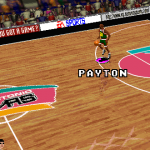 Since we loved NBA Live 95 on PC – even though it was a few years old at that point – we were playing through a season with the Houston Rockets. We had a lot of fun with that season: as may have seen, we brought Larry Bird out of retirement, and we once held Shaquille O’Neal to just 17 points (1 point in the second half!) in a full length game. We also documented one of the games we played, play-by-play, on audio cassette. VHS, audio cassette, dial-up Internet…be sure to look up these ancient technologies on Wikipedia kids, you’ll get a kick out of it! Anyway, we documented the entire game, and then transcribed it to post on the NBA Live Domain, which I was running at the time. For your enjoyment, and indeed, for posterity, here is the play-by-play from that game, documented in the style of the NBA.com live scores back then.